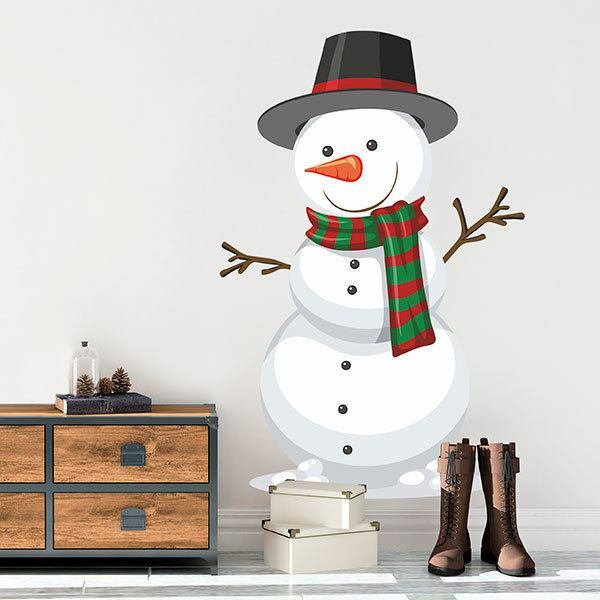 Kids wall sticker Snowman. When it snows, one of the most entertaining and favorite activities for the little ones of the house is to make a snowman. 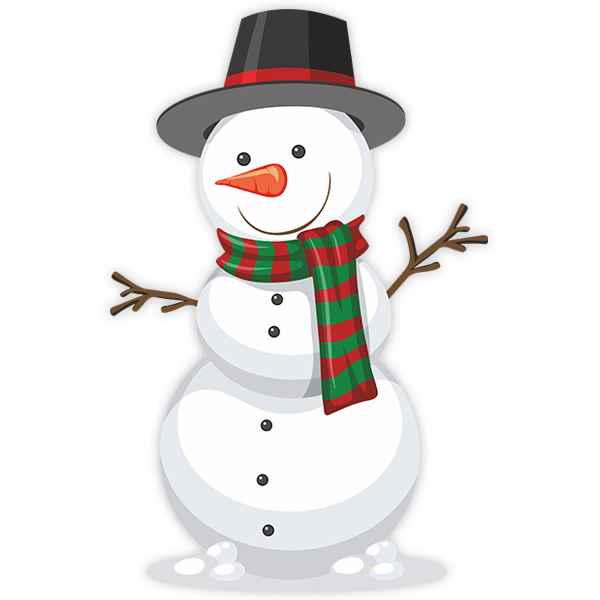 He wears an elegant black hat and a scarf of green and red colors, his arms are branches and his nose is a carrot. Size: 59 x 39 cm. 7.48 x 11.81 in. 10.24 x 15.75 in. 12.60 x 19.69 in. 15.35 x 23.62 in. 17.72 x 27.56 in. 20.47 x 31.50 in. 22.83 x 35.43 in. 25.59 x 39.37 in. 27.95 x 43.31 in. 30.71 x 47.24 in. 33.07 x 51.18 in. 35.83 x 55.12 in. 38.19 x 59.06 in. 40.94 x 62.99 in.